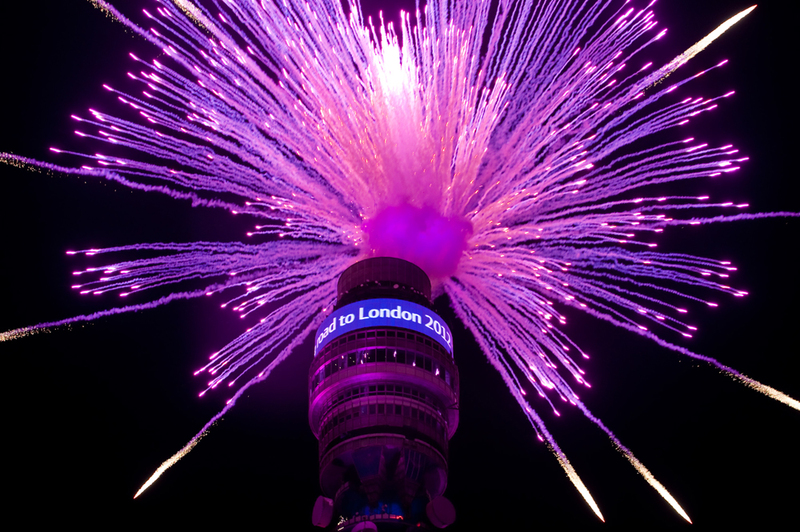 The much talked about, 360-degree information screen atop the BT Tower in London, made up of Martin Professional LC Plus Series™ LED panels, gets a visit from the Martin Service Department each month, and has done so ever since debuting over 1000 days ago. Used to display a variety of visual content, the 59 meter long by 4.8 meter high information screen is visible across the city. A key visual landmark in London’s busy 2012 summer of sport, the screen has endured harsh weather conditions since its installation in October of 2009. “We counted down from 1000 days in the lead up to the start of the London 2012 Games and during the events themselves we celebrated every GB medal victory, reported key moments and flashed up the public’s messages of support from social media channels,” Jared states. Martin’s UK Service Department swaps out six panels each month on a preventative maintenance schedule that, coupled with general service and technical support, has kept the display as captivating as ever.